Brief forward by NCFA Canada: Canada needs a broad-based and inclusive entrepreneurial hub to expand the power and reach of startup feeder networks across the country that currently independently exists from one another. A centralized portal would allow mentors, incubators, VCs, academia, government and affiliate associations to plug-into a home base to collaborate and share expertise and networks with active and next generation entrepreneurs. Canada needs to reignite the passion and come together as a collective community to support SMEs and cultivate the social economic seeds and ideas planted in this country. 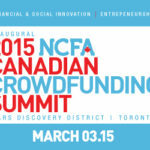 Take Action and Support the Startup Canada Funding Campaign. One of the key messages we heard from entrepreneurs during the Startup Canada six-month National Tour was the need for a One-Stop-Shop to help Canadian entrepreneurs quickly and effectively plug into their local and national startup communities, to access support as and when they need it. To do this, we need $100,000 to build a highly functional, user-friendly, personalized online platform for Canadian entrepreneurs to access the right support and networks as and when they need them. This platform will enable entrepreneurs to plug into the local and national startup ecoystem at any phase of their startup journey. Help us support more than 1 million small businesses and connect the next generation of Canadian entrepreneurs into a dynamic, national network to accelerate their growth. With your support we will build the platform, ready to launch May 2013. Donate what you can - every bit counts! Let's show the power of crowd. Get the word out and make some noise! Share our crowdfunding campaign to your personal, organizational and social media networks using Indiegogo's share tools. Startup Canada is a grassroots, entrepreneur-led, volunteer-run, non-profit network that launched in May 2012 to bring together and give a voice to the Canadian entrepreneurship community and to promote a vibrant entrepreneurial culture. Since launching, Startup Canada embarked on a six-month National Tour as a cross-Canada community-building exercise and to kick-start a conversation about how we can better support Canadian entrepreneurs and cultivate a culture of entrepreneurship. The Tour brought together 20,000 Canadians and 300 partners through 200 events fuelled by hundreds of volunteers. The Tour provided a platform for the Canadian entrepreneurship community to come together, share ideas, identify gaps and opportunities, and commit to community-level action. Collectively, participants gave life to more than a dozen community-led projects, and for the first time, the Canadian entrepreneurship community connected in a common activity and conversation that will continue online and offline. Celebrating and promoting entrepreneurship as something to aspire to and key to Canada’s prosperity. As a volunteer-run organization, STARTING UP CANADA will require all of us pulling together in the same direction. Take action today by supporting the Startup Canada movement.